(36x31) Mens Vintage 70s Western Disco Pants! Brown w/ Arrow Tip Belt Loops! 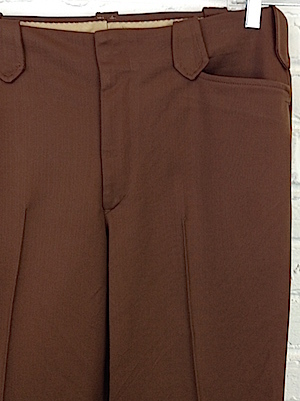 Home > Items just added 4/3-4/17 > (36x31) Mens Vintage 70s Western Disco Pants! Brown w/ Arrow Tip Belt Loops! 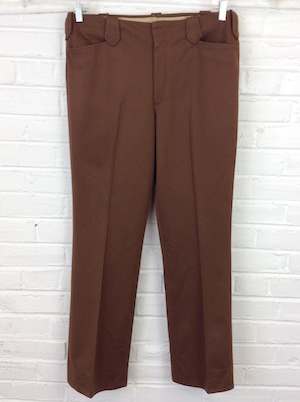 Mens vintage 1970s western disco pants! 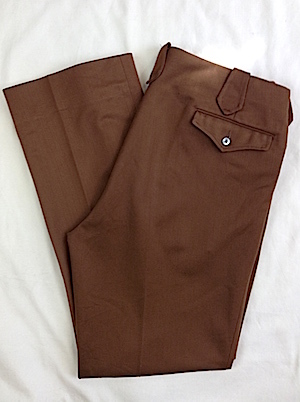 Get your urban cowboy groove in the brown Western style disco pants! Closes in the front with a double hidden tab closure. Super wide and extra long arrow tipped belt loops! Two notched front pockets and two interior pockets in the back, both with flap and button closures. Tagged by Panhandle Slim. No material tag but feels like polyester.